the best and most successful angel eyes kit ever made now comes with the brightest LED bulbs on the market AND NOW AT A LOWER PRICE. 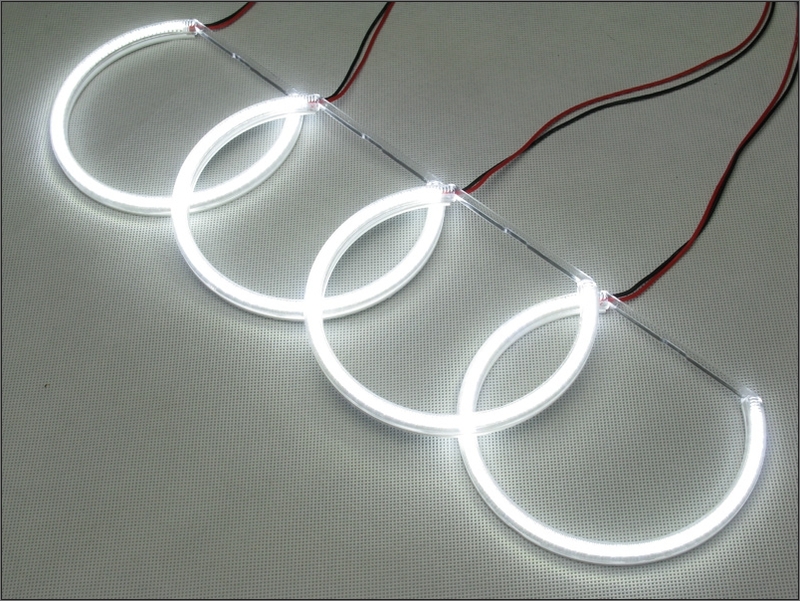 This product incorporates the brightest Light Emitting Diode technology currently available today. The LED is used in a variety of applications due to it's longevity, durability, and cold weather instant operability characteristics. The Predator Orion, the only product with the reflective backing to prevent bleeding of the light in all directions points the light output in the direction of the only place that matters - out. The high quality wiring harness included was the first to be fully insulated and provides you with both a fused primary trigger and a secondary trigger for automatic dimming (fade/on & fade/off) functionality. FIRST with fully integrated remote feature. FIRST with TRUE SnapIN Clipping System. FIRST with over 100000 Hours Lifespan. FIRST with over 10000mcd Output Rating. FIRST with hyper polished rings. FIRST with 200 Degree Visibility . BavToys OrionT & Orion4's are daytime visible, mounted inside a high polish crystal light enhancing cover that is the same size as the OEM angel eyes, just brighter, much brighter. The all new clipping system is totally removable and allows for easy flush installation on all e36 lenses. 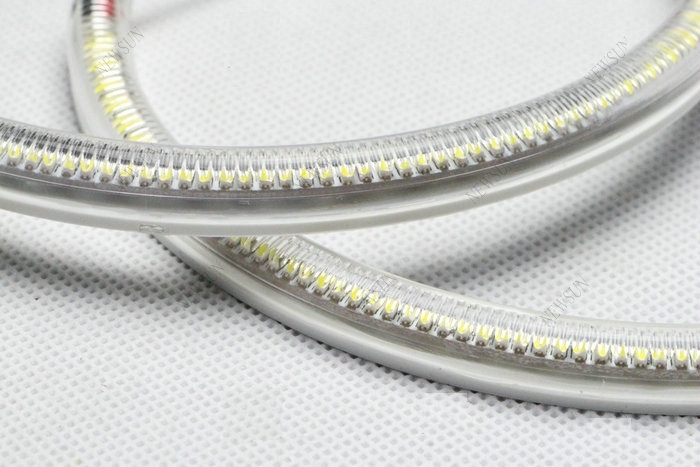 The LED's are used in a variety of applications due to their longevity, durability, and cold weather instant operability characteristics. The rear is covered with a full backing that holds the LED system in place. There are no external solder points on the back. The covering serves as an insulation so there are no exposed points of power that could potentially lead to a short in the circuit. All 1992-1999 3-series (E36) with Euro Headlights. 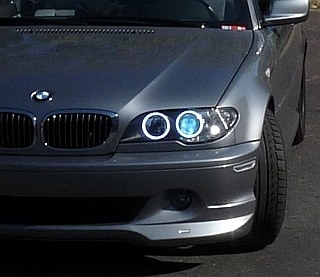 All 2000-2006 M3 (all lights similar to 2000-2003 Coupe Lights). All 2000-2003 Coupes (with non-sealed lights).